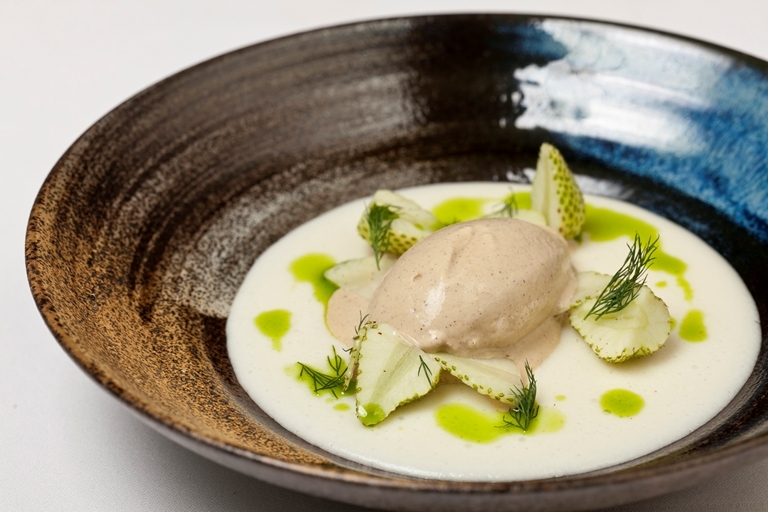 Christoffer Hruskova's koldskaal recipe harks back to his home country of Denmark, as he explains: "Koldskaal is a very Danish dessert. We used to have a summerhouse in Funen (North Denmark) when I was younger and I used to love having it there. There’s truly nothing better than the combination of buttermilk and strawberries on a hot day. We’d get freshly picked strawberries from up the road and make it – sometimes my Dad would put a meringue on top, too".